Nike continue to develop their most coveted silhouettes with the application of premium materials, high levels of detailing and the addition of technical features. This season sees the brand apply their woven upper technique, seen on the likes of the Woven Foot-scapes and Mayfly, to their iconic Roshe Run silhouette, offering a more luxurious take on the popular style. The Nike Roshe Run is a contemporary classic, known for being lightweight, comfortable and form fitting. The latest version of the classic sees woven detailing added to the toe box that leads up to the laces for a streamlined look. The shoe arrives with a soft leather on the upper mixed with suede panelling on the heel and mesh on the toe box detailing for breathability, with the NM (Natural Motion) sole unit adding to the sleek, premium look. 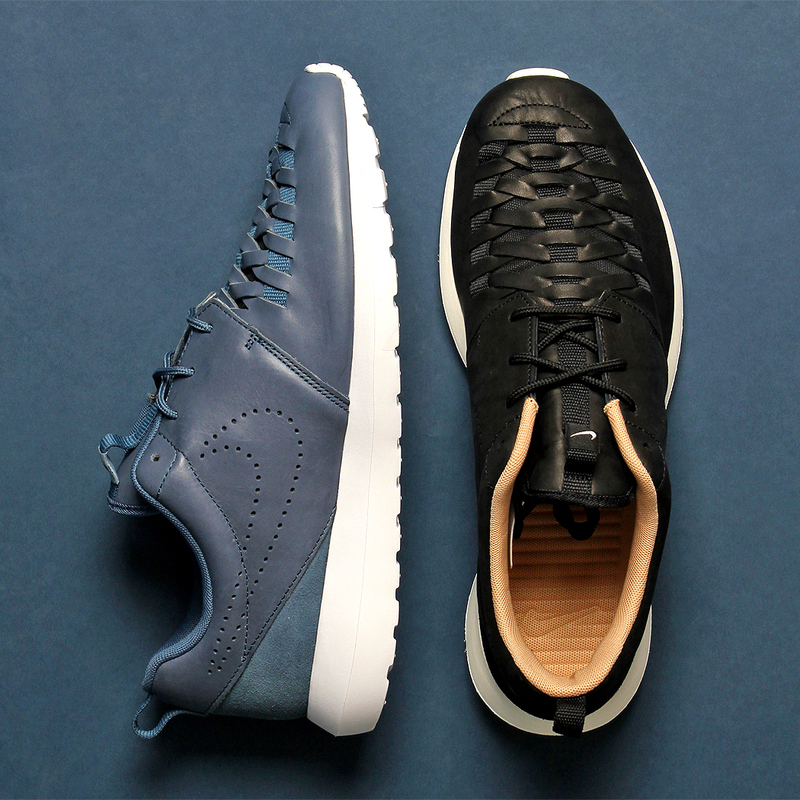 The Nike Roshe Run NM Woven Pack will be arriving with us later on this month (March). For now, you can shop our current Roshe Run selection HERE.